But for this day 100% Techno on the menu and Suckut will show us how crazy we can get of this grooving sound with just the kick drum and some hi-hats as the king of minimal from the school of Robert Hood. 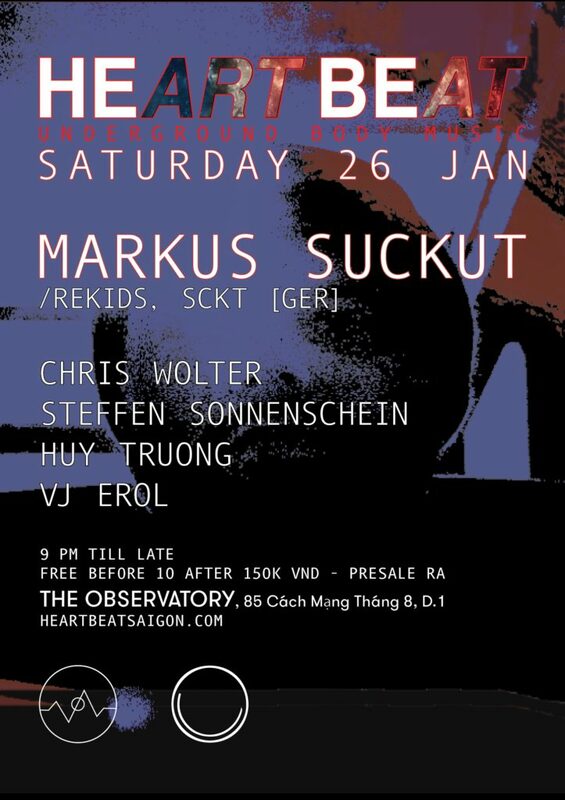 From 9pm onward both the young rising star of Huy Truong & as well as Steffen Sonnenschein will sculpt a sonic dome covering the terrace that will get the crowd on their feet, while rotating and playing back to back, to keep it fresh and enticing. Steffen is one of the new, but familiar faces behind the decks. 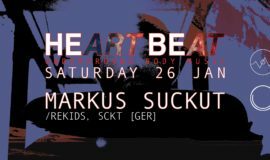 Under his Techno alias WYAD he banged out the night with Heart Beat and Voiski on November 2017. You’ll see more of him in 2018 for sure! Later on, never sure when exactly, the war zone will rage again inside the club when SUCKUT kicks off. Where Chris Wolter, VJ Erol will support the main man. Welcome to the terror dome!! RECORDING ARTIST ON: Rekids, Stroboscopic Artefacts, Frozen Border, Horizontal Ground, Figure, Bpitch and Mosaic. German born and based Markus has been producing and DJing since the late 90’s, being a DJ he likens to a storyteller, he prefers longer more embellishing sets. He has built his career on excitement and playfulness, something that has paid of into a rich back catalogue. Since 2009 a discography of over 30 records bears his name – including two full-length albums – 2013’s DNA (Figure) and 2017’s Resist (EXILE). 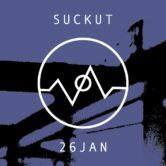 Suckut also runs two imprints; SCKT founded in 2012 and Tales Of The Machines in 2016. The later one created to release more spontaneous live jam recordings, letting the machines have more of a “final say”. Steffen is born and raised in east berlin, his first touches with the materia was thru his uncle , who worked in a club called “WM 66” at the end of the 90´s. He also started to produce and playing records in clubs back then, when Techno became the new revolution of berlin. Steffen is introverted and the Half of The Sexinvaders, but he’s also deeply focused on his very new project called after his real name : Steffen Sonnenschein. 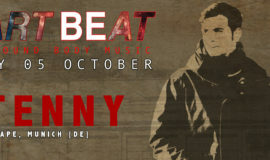 His tracks stand out, due to its saturated base complimented with matured deep beats. 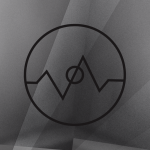 This transcendence between techno and deep house creates an individuating innovating style.